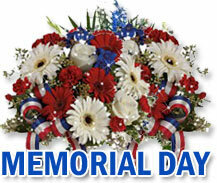 Memorial Day was once called Decoration Day and is a day of remembrance for those who died in America's service. Memorial Day was first observed on May 30, 1868 when flowers were placed on the graves of Union and Confederate soldiers at the Arlington National Cemetery. The United States Congress passed the Uniform Monday Holiday Act that was signed into law by President Lyndon B. Johnson on June 28, 1968. The law went into effect on January 1, 1971. 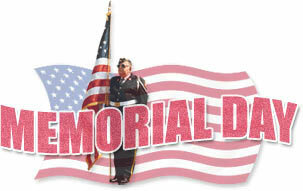 The act moved Memorial Day from May 30th to the last Monday in May each year. Many people consider Memorial Day to be the unofficial first day of summer and Labor Day to be the unofficial last day of summer. Remember our fallen soldiers. Memorial Day Crosses. Memorial Day with red, white and blue overlay and front reflection. Red, white and blue flowers for Memorial Day. 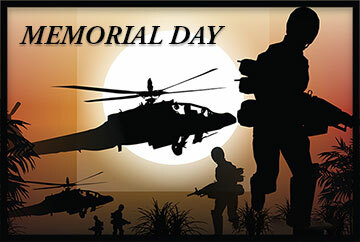 Memorial Day with a stars and stripes illustration plus animation. Memorial Day with American flag. 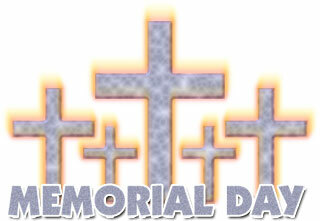 Memorial Day with flashing animation. America - One Nation Under God with eagle. Memorial Day with American Flag overlay and shadows. Memorial Day - It isn't just the first day of summer. It isn't just a 3 day weekend. 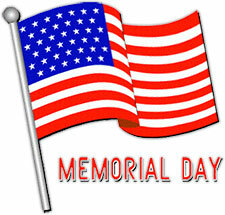 It is a day set aside so we may remember the heros that have fallen so we can be free. God Bless America with glitter animation. 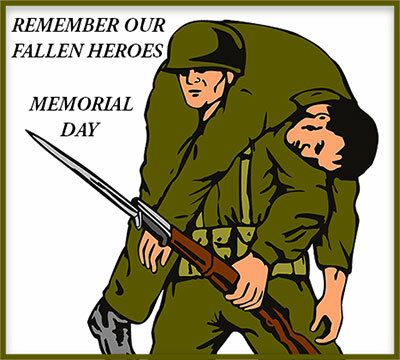 Memorial Day - Remember Our Fallen Heroes. Animated Pow-Mia Flag on pole. 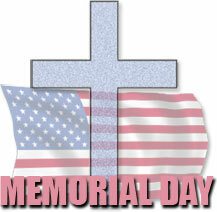 Remembering Our Fallen Heroes with cross, American Flag and glitter animation. Memorial Day with cross and American flag. 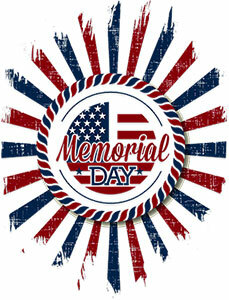 Memorial Day with red, white and blue design elements. Memorial Day Animation with stars. Memorial Day banner with stars and stripes. A Soldiers Memorial cross and flowers. United States Marine Corps Flag. 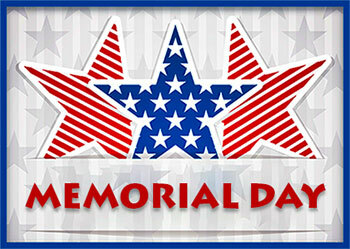 You may use our Memorial Day gifs on your personal and educational websites or online communities.